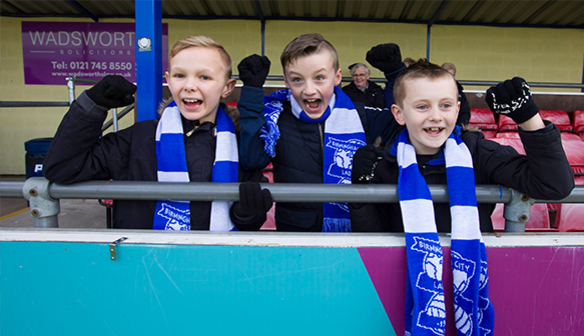 Location and Travel: If it’s your first time to Solihull Moors the click here for details designed to help you find your way to us, whether you are coming by car, bus or train. Online Tickets: £7 adults, £4 concessions and £18 Family (2 adults and 2 U16s), online tickets can be purchased here. * Fans who are U16 or a senior will qualify for a concession rate when purchasing a ticket. Fixture Changes: All fixtures are subject to late changes, so please check our fixtures page for up to date match information and kick off times before you travel to our matches. Parking: The Automated Technology Group Stadium has limited parking available on a matchday, which is free of charge. Please note the car park is filled on a first come first-served basis. Seating: The capacity of The Automated Technology Group Stadium is approximately 2,000. There are two stands which will remain unreserved seating, with the exception to a small area for VIP’s and match officials located in the main stand. In addition to this, there is standing allowed around the ground, providing a great view of the pitch to catch all of the action. There is also a designated area for wheelchair users, located in the main stand with easy access to the Solihull Moors club house. When to arrive: Our normal match times are from 2pm on Sunday afternoons or 7.45pm on Wednesday evenings, however we strongly advise you check our fixtures list before travelling as matches are subject to change and kick off times can vary. Buying a programme & Merchandise: Blues matchday programme costs just £2.50 and can be purchased from our programme sellers located inside the ground. Content includes notes from our Manager, exclusive interviews with our players and the latest Blues news. 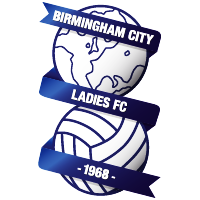 We also have a club shop that sells a wide range of BCLFC merchandise and generic Birmingham City FC items, for a breakdown of items please click here. Food & Drink: On a matchday, Blues ladies provide a burger van just inside the stadium with burgers and hotdogs starting from £2.50. There is also a vegetarian option available on matchday, please speak to our catering staff on the day to see what we have on offer! We also offer a variety of hot drinks and soft drinks starting from as little as £1. Blues ladies also have an ice cream van located inside the grounds, weather permitting. There is a range of ice creams and lollies available on a matchday starting from as little as £1, so why not join in the warm atmosphere and have an ice cream whilst watching Blues ladies in action! Autographs: Due to the family friendly atmosphere on matchday's, usually the players are willing to sign autographs books and have photos after the game. Photographic & Video Regulations: Digital photographic equipment contained within a standard compact digital camera or camera phone are permissible for BCLFC fixtures. Digital still cameras or single lens reflex cameras ( SLR) with built in zoom lenses or detachable lenses longer than 200mm in focal length however are not permissible. All photographic imaging must be recorded from the stadium seating or standing areas. Absolutely no photography is allowable on any of the pitch areas and access to the pitch is only allowable to bona fide and accredited media photographers. All digital images photographed or recorded at this fixture must be for purely personal usage and not for any publication/s or commercial purposes. Entry & access into the ground binds you to the stated and listed regulations and any breach of these reasonable rules will mean you will be asked to leave the ground. Thank you for your cooperation.